Sony announced managemental changes and a new CEO and president effective April 1. The new president, Kazuo Hirai, announced his future plans - which include a reinforcement of Sony's core business, rebuilding of its TV business, reformation of its business portfolio and acceleration of innovation. Regarding the TV market, Sony plans to minimize investment in non-competitive fields, but they will make major investments in OLED TV, Crystal LED and other technologies and products that use Sony's own technologies. 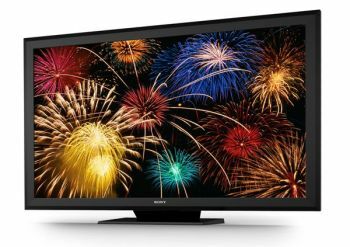 Back in January it was reported that Sony officially quit the OLED TV business, which isn't a surprise as Sony's only OLED TV ever, the XEL-1 was discontinued back in February 2010. Sony is currently focused on OLED panels for professional monitors (such as the 24.5" BVM-F250 broadcasting monitor), and it was actually suggested that Sony plans to buy OLED panels from LG Display. It's great to hear that Sony plans to resume their OLED TV program. It'll be interested to hear what kind of investment Sony is planning - as they will have to move fast in order to catch up with Samsung and LG. Sony is also currently producing OLED microdisplays - used as camera viewfinders in some Sony models and in their TMZ-T1 HMD. Sony's small/medium display program has been moved to Japan Display (their joint-venture with Toshiba and Hitachi). 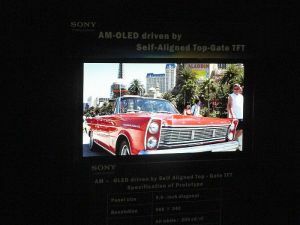 Sony is still researching OLED displays and have shown Oxide-TFT based panels and printed OLED prototypes in SID 2011. Crystal-LED is a new Sony technology that uses ultra-fine RGB LEDs to create a self-emitting display - basically this is similar to OLEDs, but with in-organic LEDs. 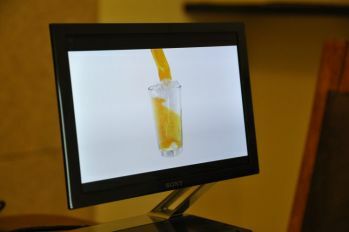 Sony unveiled a prototype 55" Full-HD TV panel at CES 2012, but we do not know of any commercialization plans yet.